Throughout Europe Strasbourg is mostly known as one of the capital cities of Europe where the European parliament is located. 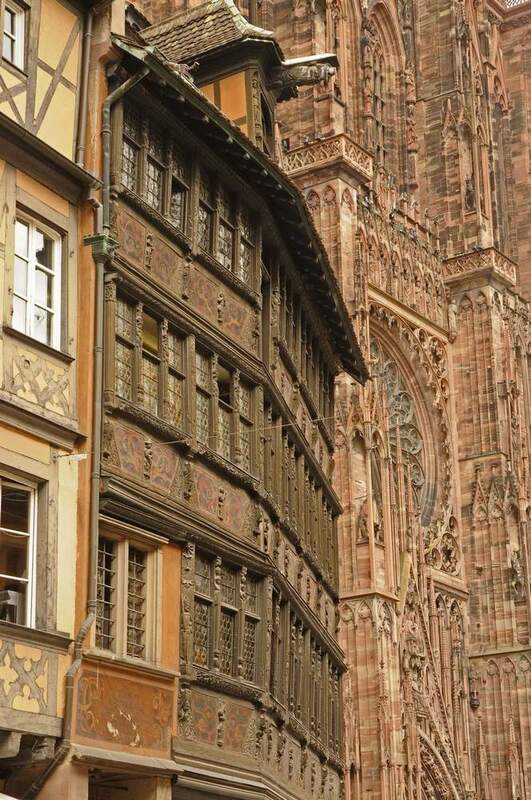 But by its history, its cultural heritage, its beauty and its gastronomy, Strasbourg is much more than that and well deserves a visit. 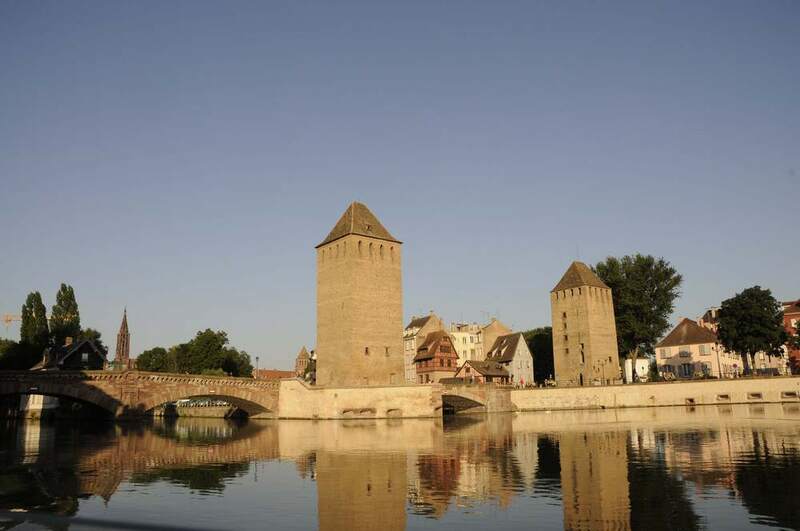 Located on the borderline with Germany on the river Rhine Strasbourg has alternately been German or French through the centuries, acquiring both cultures. The city centre located on the “Grande Ile” (the Big Island) on the Ill River is a UNESCO world heritage since 1988. 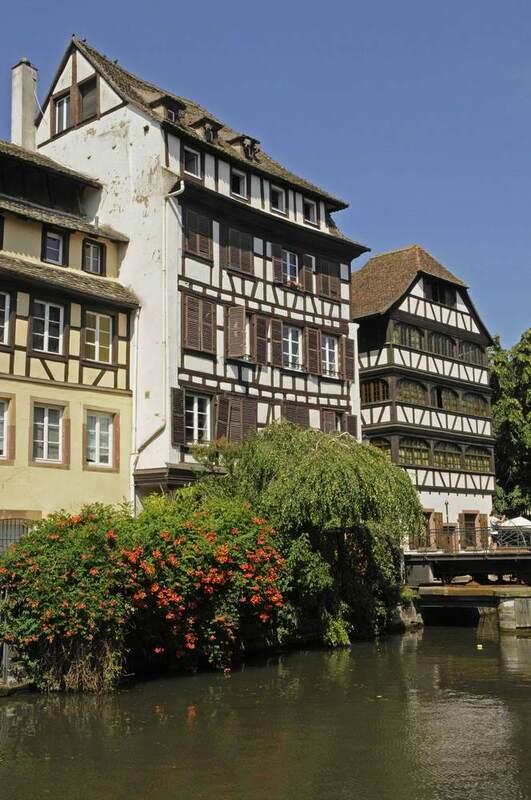 It’s very easy to visit it all by foot: get lost in the narrow streets of the “Petite France” (the Little France) lined with half-timbered houses from the 16th and 17th centuries. 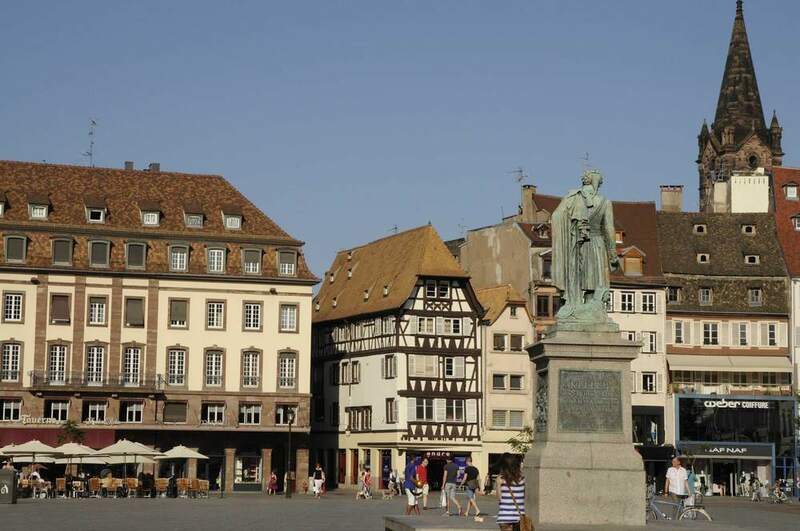 Discover the Kammerzell house, the Rohan Palace, the fish market place, the wine cellar of the Hospices de Strasbourg where you can taste the well-known Alsatian wines. 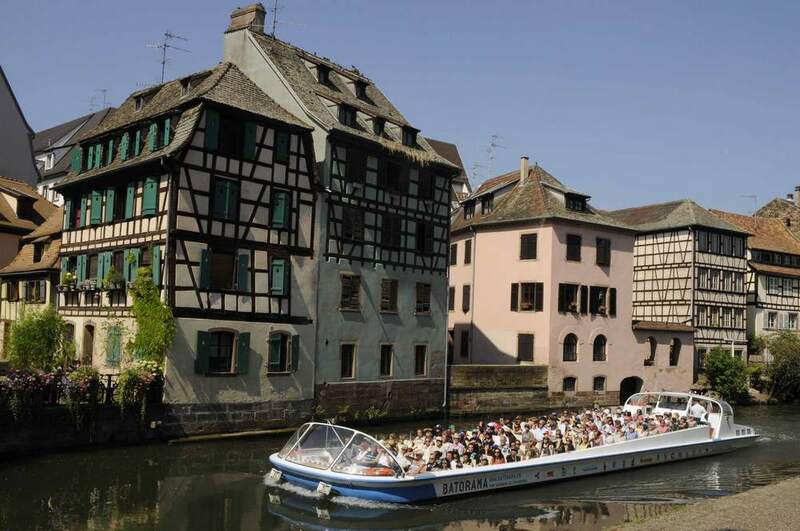 One of the nicest ways to enjoy Strasbourg is to take a boat. There are many pleasure boats that can take you on the numerous canals of the old town with their Art Nouveau style houses and their quite gardens, their locks, their bridges. They will take you to the new European district with its 20th century architecture. Getting back to the centre you can’t miss the cathedral. If you have courage enough go up its 322 steps and you will be highly rewarded for your efforts: the view from the platform set between its two towers is breathtaking. 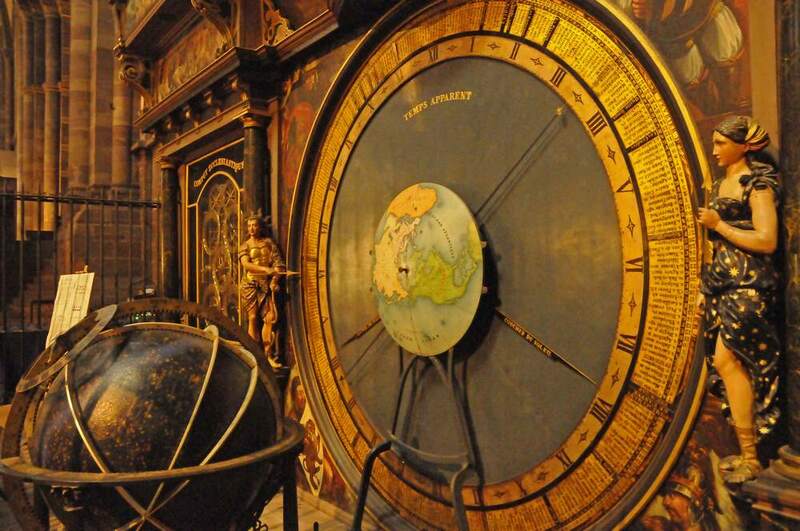 Back down in the cathedral, be there at half past noon to watch the ballet of the automatons of the astronomical clock from the 16th century. 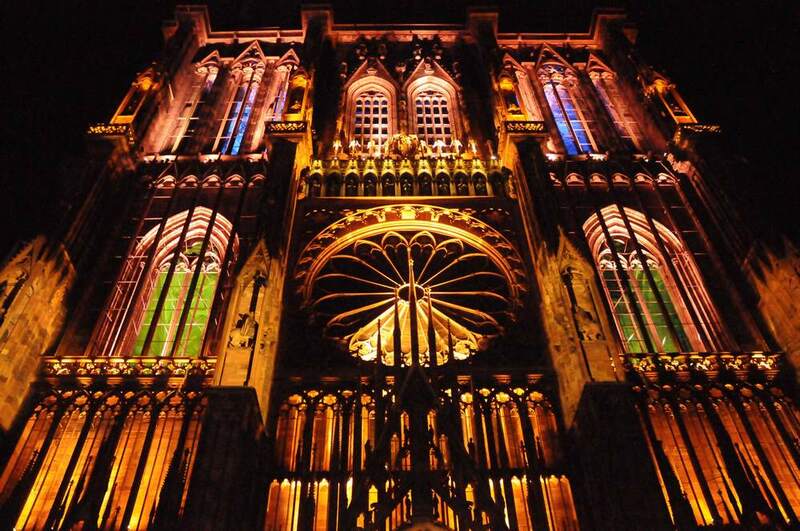 Later when the night comes go back to the cathedral to see its façade brought to life by a colourful “son et lumiere” show. 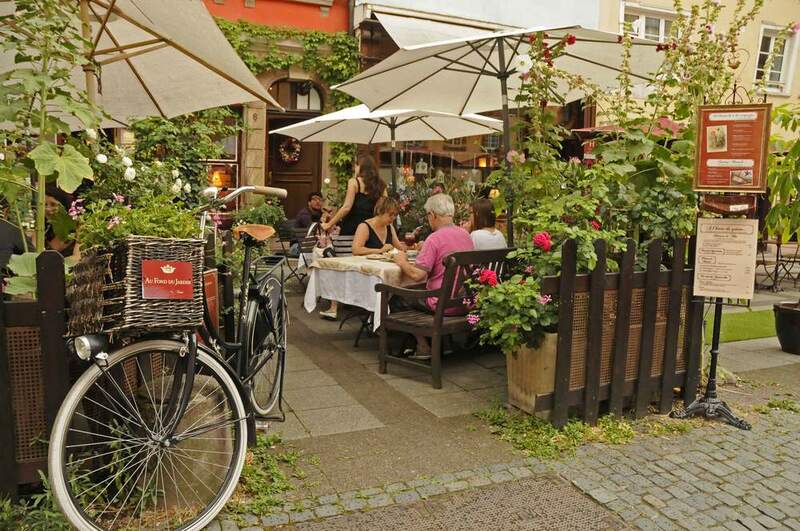 The Imperial district also called the German district is totally different from the “Petite France”. Built during the late 19th century by the German Empire its wide avenues are lined by taller buildings in Art Deco style. 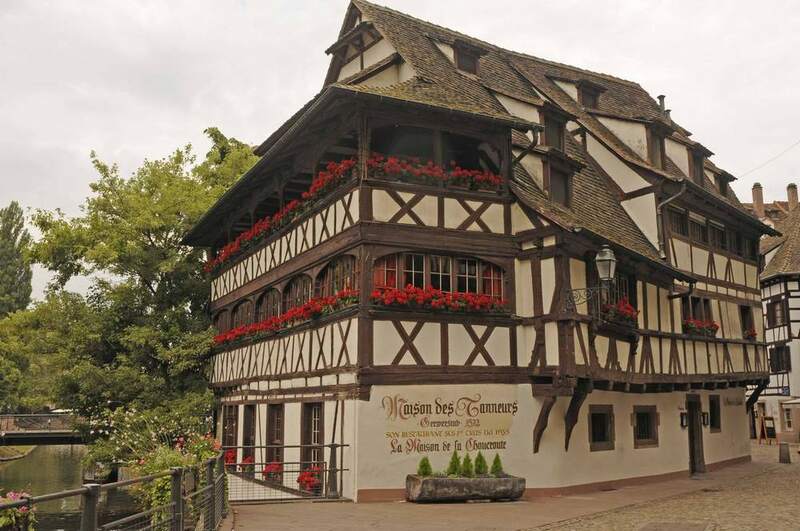 The Alsatian gastronomy is rightfully well renowned and there is much more to discover than its famous “choucroute”, the Alsatian sauerkraut. 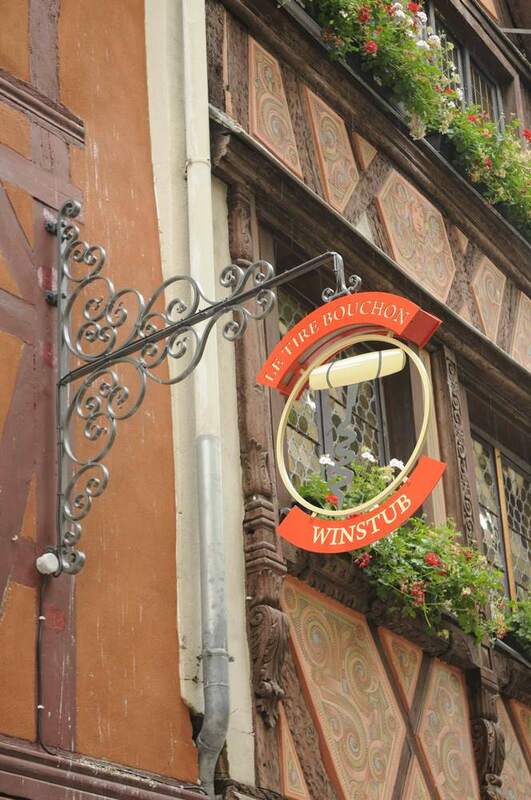 Don’t hesitate to eat in a “winstub”, a traditional restaurant, such as “Chez Yvonne” where in spite of its success you will get a friendly welcome, homemade dishes with local products, a large range of wines and at a reasonable price. 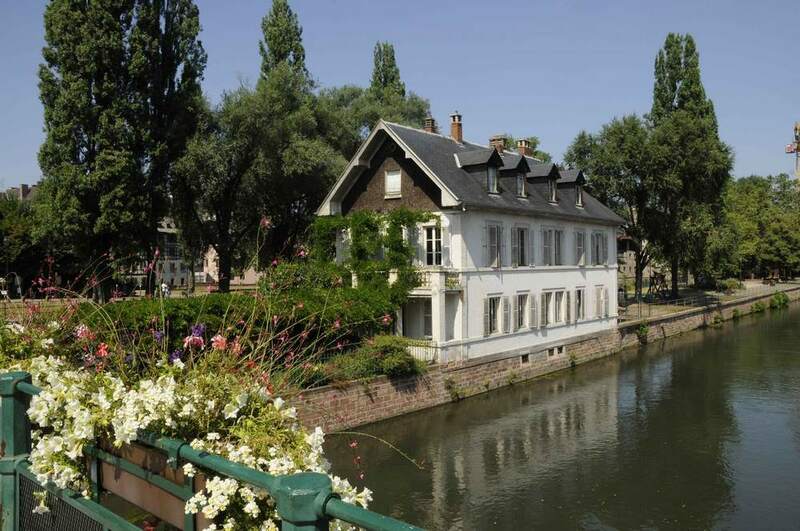 “La Maison des Tanneurs” (the Tanners’ House) is a great place to have diner: ask for a table on the terrace (an earlier booking is recommended) overlooking the canal, enjoying the peaceful ambiance and the sophisticated food. In the art of the “Petite France”, the hotel “Le Bouclier d’Or” was recently created in a 15th century house, combining antiques and modernity: frescoes, a spiral stone staircase, 22 large bedrooms and a wonderful wellness space set in the former cellar. If you happen to be there on a Sunday you can book a table for the brunch served in the 18th century style dining room or on the outside terrace during the summer. To get to Strasbourg, Ryanair has three flights a week from London-Stansted, and from March 30th easyJet will offer four flights a week leaving from London-Gatwick and scheduled on the four other days. 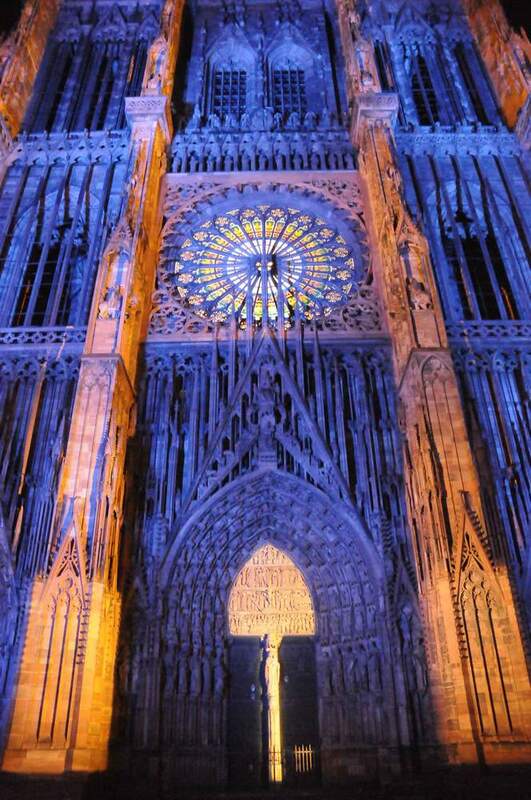 With one flight every day no excuse to avoid Strasbourg!